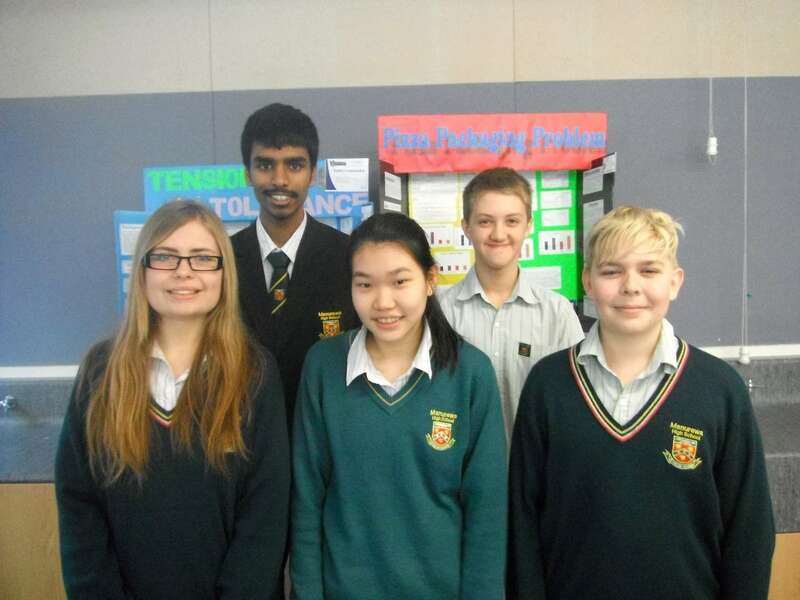 Five of our students were recognised for their scientific endeavours at this year's NIWA Manukau Science Fair. 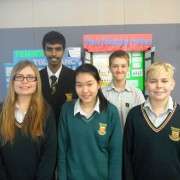 The Science Fair prizegiving was held on 28 August, and featured one of our own students as guest speaker. Susan Ly reported very eloquently on her trip to Otago University Science week (which she won last year). Aimee won a fully funded week at Otago University, with her project to see whether she could decaffeinate coffee without the use of chemicals. She succeeded in significantly reducing the caffeine content with no chemicals at all, simply by increasing the roasting time. Aimee's week at Otago Uni will include participation in science labs, lectures, hands-on activities, networking and social events. The University sends its own judges all the way to Auckland to assess this award - and this is the second year in a row they have selected one of our students. Solinna won first place in the Dairy NZ sponsored section, and also won a Highly Commended in her category. In her investigation she looked at the effect of run-off from different types of fertilizers on the surface tension of water in ponds and lakes, and how that might affect the aquatic ecosystem. Vetri won first place in his senior category. His project looked at the nutritional claims made by store bought pizza base companies. He found that Romano’s thin and crispy has a lot of incorrect nutritional content, especially carbohydrate content (which is totally inaccurate!). He had his data verified by an independent food lab. Timothy won third place in the junior category of Physical and Material World – he looked at the use of DIY home insulation to improve low socio-economic homes for winter. Adam won Highly Commended for his project on whether or not the light proof bottles make any difference to milk rancidity. A great result! Well done to all our students who took part.